When we were young, we bet that most of you wanted to become famous celebrities when we grow up. Growing up watching television with our favorite actors or actresses performing on stage or acting as our favorite superheroes made us admire these celebrities! They became our strength, hope, our inspiration to do better in what we do and achieve our dreams. Some of us even fantasized about becoming a celebrity just to achieve the same status, fame, and ranking so to be closer to our idols. And if that dream finally comes true and one of us becomes a famous celebrity, we feel as if we’re living in a wonderful world. They earn enough money to support our family, become famous and have loyal fans who follow our every footstep and aspire to become like us! However, that might not always be the case because some celebrities we admire fall into depression. 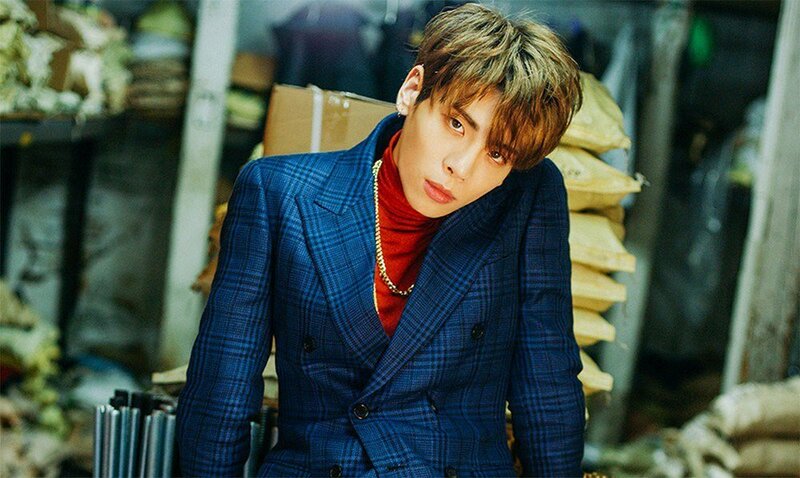 On December 18, 2017, the Kpop world was plunged into chaos and mourning when the news about their favorite K-pop Boyband member of SHINee, Jonghyun, had passed away. Shock, disbelief, sadness, agony, and mourning were among the swirl of emotions every Kpop fan had felt on that fateful day. 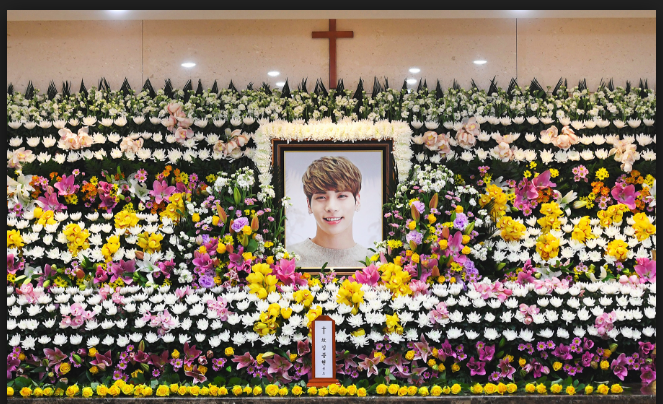 Whether or not you’re part of the Shawol ocean (SHINee’s official fandom name) every Kpop fan had mourned for his loss. Even the other K-pop boy bands and groups mourned for death. Everyone wanted to know what cause of death of the K-pop star was. It seems that Jonghyun’s sister had found her brother unconscious inside his room around 6 pm on the same day. They rushed Jonghyun to the hospital but he was declared dead after a few hours of the doctors trying to revive him. The Police received initial findings at around 4 pm, 2 hours before the time of death, from the victim’s sister, reporting that she thinks her brother is about to commit suicide. The police had also found a brown liquid in a frying pan. It was later on revealed that the brown liquid was coal briquette, which was the culprit behind the victim’s death. The cause of Jonghyun’s death was apparently carbon monoxide poisoning. Why Did Jonghyun Commit The Act and What Does it Mean For Us? Unbeknownst to everyone, Jonghyun had been suffering from Depression. Yes, it might be unbelievable seeing the young star with all smiles and cheers as he greeted his fans during shows and concerts, but that’s the brutal truth about depression. As fans, we didn’t know that our idols have it hard. Jonghyun was said to be suffering from depression because he felt like “he’ll never be enough” no matter what he does. Which isn’t true, right? 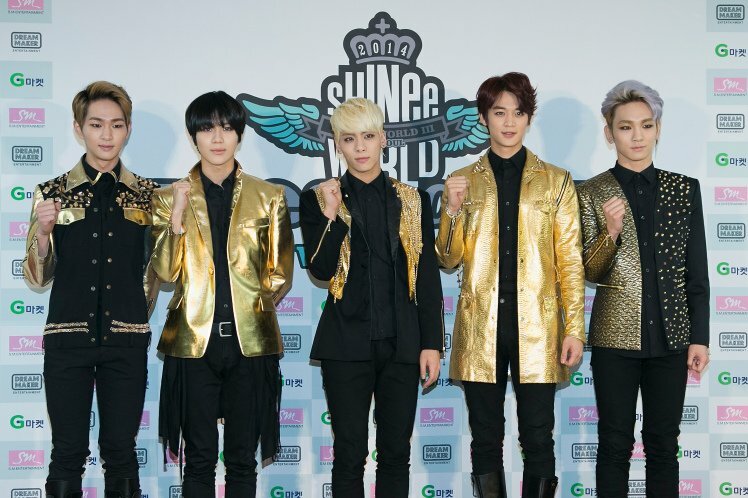 Millions of Shawol fans had been idolizing the said young star. He was great at what he did, his millions of fans all over the world should be the proof of that. Aside from that, the group received back-to-back awards and recognition. What gives? Apparently, despite all the fame and recognition Jonghyun received, he still felt like he’s worthless because no one seemed to say that he’s doing well. No one seemed to recognize all the efforts he’d given to become the best. No one seemed to pat him on the back and say “You’ve done a great job. Keep up the great work”. Those words are so trivial and plain simple, but they can mean the world to the other person. The sad truth about this event is that no matter how much we grieve and mourn, we can never bring one angel’s life. However, we can do everything in our power to stop this from happening again. We urge everyone to raise their awareness of mental health. Our idols give us strength, inspiration, and admiration to become the best versions of ourselves. In turn, as their fans, let’s help them. May we also become their strength to keep on holding on and overcome whatever darkness they’re battling. If you know someone who’s been depressed, we request that you extend your help to that person. Be by their side and listen to their problems, battles, and struggles in life. You may not be able to give an immediate advice or solution to their problem but just by listening, you can make a difference in a person’s life. They won’t feel alone and they’ll realize that someone cares for them. And in every accomplishment a person does, never degrade them. Recognize their efforts and congratulate them for a job well done. The bottom-line that we want to leave is this: just acknowledge and recognize a person’s worth by simply existing in this world. Depression is a lifelong battle of mind over matter, let’s help each other overcome this darkness in our life. You’ve done well, Jonghyun. Thank you for sharing your music and art with the world. May you rest in Peace, you will always be remembered.